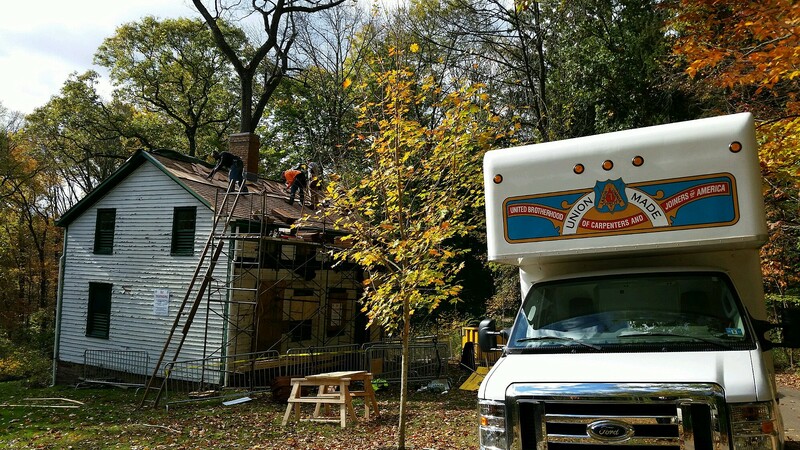 Volunteer carpenters continue their work replacing one of the worn cedar shake roofs in the Deserted Village of Feltville in the Watchung Reservation. 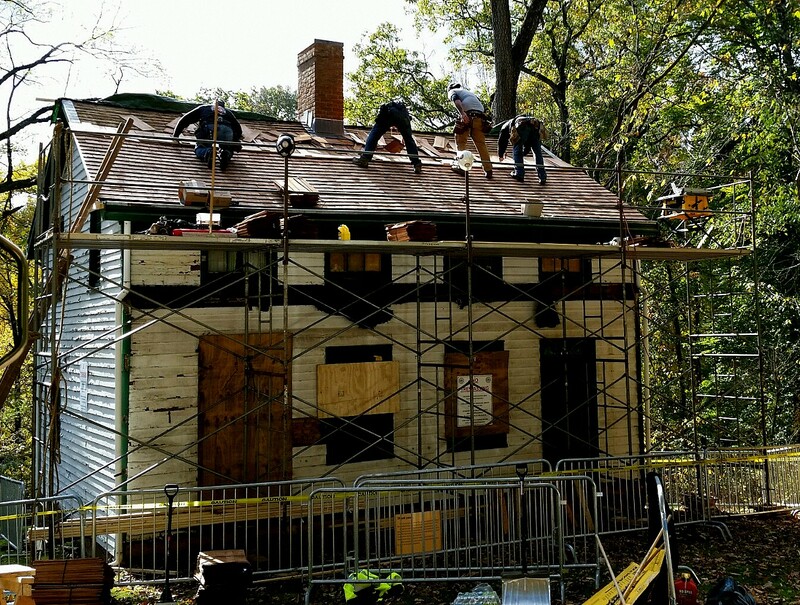 During the County’s recent Four Centuries in a Weekend celebration, where nearly 2,500 visitors toured the Deserted Village, enjoyed the hayrides and dozens of other activities, volunteers from the Northeast Carpenters Apprentice Training and Educational Fund, based in Kenilworth, went to work on the roof on House 12. They finished the front roof in late October and are expected to return to deal with the rear roof in the spring.